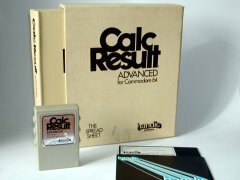 Calc Result Advanced is een cartridge voor de C64 gemaakt door Handic Software AB. It's a utilities cartridge with the following features: Spreadsheet. Calc Result Advanced with original packaging.